As the prices of oil and natural gas continue to rise homeowners continually find it's more and more expensive to heat their homes. And with rising energy costs it's certainly not cheap to air-condition a house in the summer either. Geothermal units are installed indoors vs. outdoors. 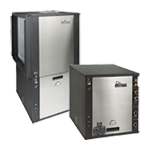 Rated best clean heating &amp; cooling technology by the EPA. No greenhouse gases emitted. 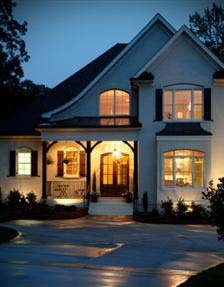 In the cooling mode, a geothermal system air conditions your home by reversing the heating process. Instead of extracting heat from the ground, it is extracted from your home and either moved back into the earth loop, or used to preheat the water in your hot tank. Once the heat is removed from the air, it is distributed through the duct system in your home. Often used when adequate land surface is available. Depending on system needs and space available, pipes are placed in trenches that range in length from 100 to 400 feet. The ideal choice when available land surface is limited. Drilling equipment is used to bore small-diameter holes from 75 to 300 feet deep. Very economical to install when a large body of water is available. Coils of pipes are simply placed on the bottom of the pond or lake. In ideal conditions, an open looped application can be the most economical type of geothermal system. These use groundwater from a well as a direct energy source.